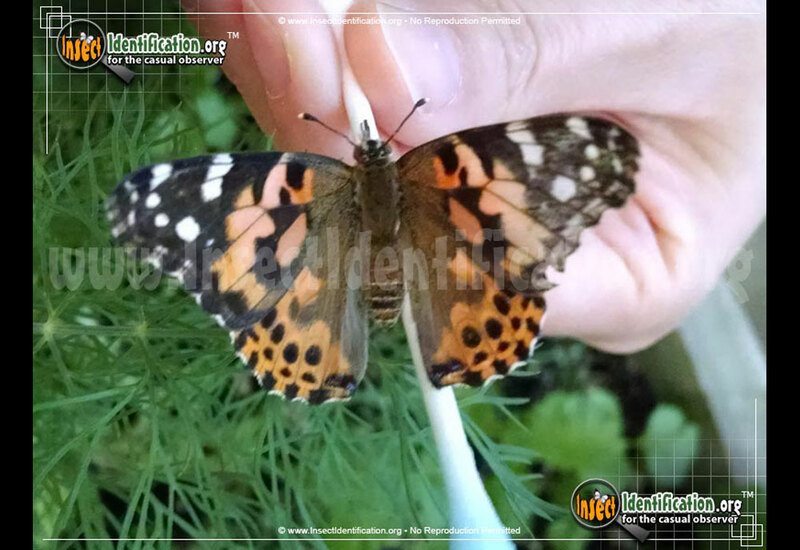 Detailing the physical features, habits, territorial reach and other identifying qualities of the Painted Lady Butterfly. 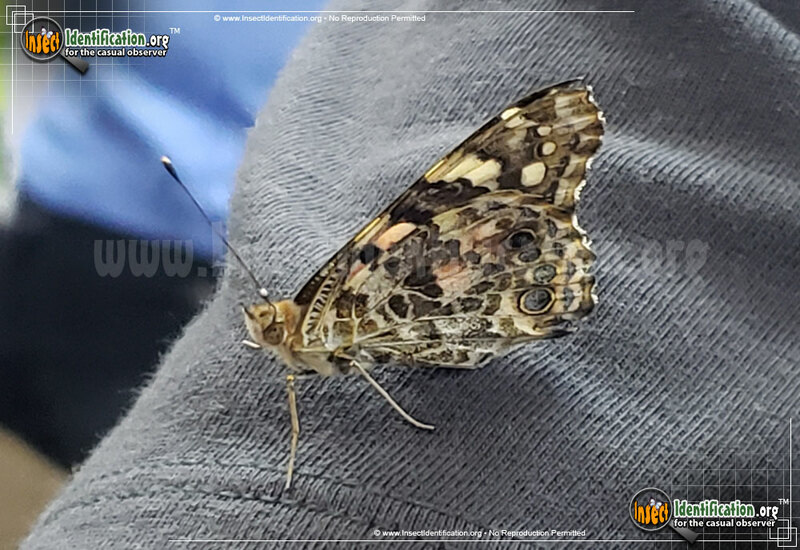 A commonly seen native butterfly ranging across the entire continent, the flashy Painted Lady is as pretty as its name suggests. 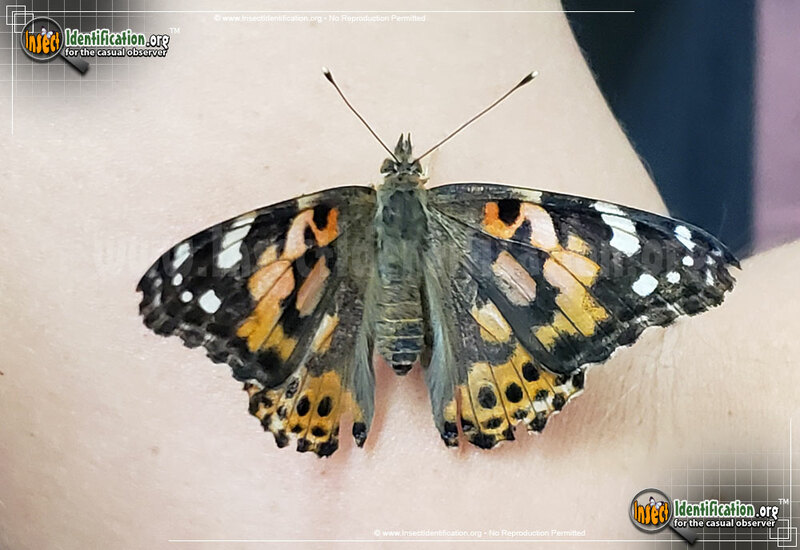 Millions of Painted Ladies migrate each summer from the warm southern region of the continent to the cooler northern provinces. Sometimes, they move en masse, delighting onlookers. Many generations can be produced each year, with more in of them in warmer climates. In areas of mild winters, this species can remain active all year. 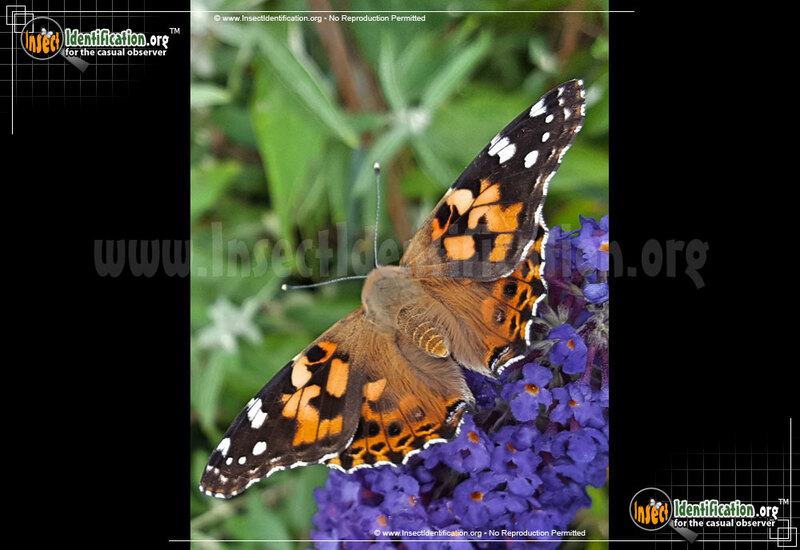 This popular native butterfly is welcomed and admired in all three nations of North America. Painted Ladies are a myriad of colors and patterns. With wings flat, an overall rosy-orange and black color combination predominates. Small black eyespots border the hindwings' edges. White spots contrast on the black wing tips. Dark pink or red surrounds a black dot near the upper edge of the forewings. When wings are raised up, a completely different color scheme presents itself. The underside of the wings are brown and white with sneaks of orange and pink. The edge of each hindwing has four similar-sized blue and yellow eyespots. Adults drink flower nectar and are often seen on asters. Males actively search for females to mate with. Females lay fertilized eggs on the leaves of host plants. Caterpillars have dark or black bodies that are studded with yellowish spines, each with black-tipped spiky hairs. Two thin yellow lines run down the dorsal (back) side. 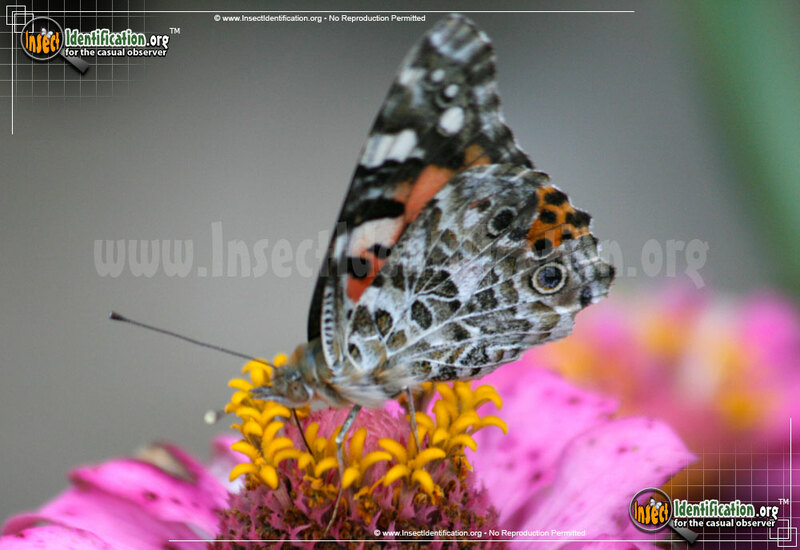 The preferred food for Painted Lady caterpillars are thistles - a tough, spiky plant that grows well in weedy areas and meadows. 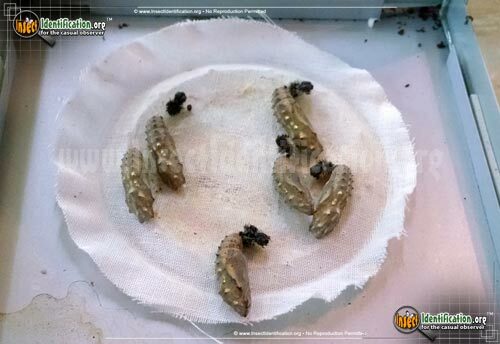 They also eat the leaves of mallows, hollyhock, and burdock plants, sometimes foraging into crops.